In my life I’ve done a lot of the things little boys dream of while they watch Saturday morning cartoons. I’ve trained as a Firefighter and Paramedic. I’ve built my own computers and wrote code for them long before most people even knew what they were. I’ve made a living as a professional Photographer. I’ve seen the world from the deck of a nuclear aircraft carrier while playing with A-7 and FA-18 attack planes. I was a spy – well, Naval Intelligence Officer – watching the Russians and Chinese. I’ve built and raced sailboats in locations all around the world. I’ve spent time in senior positions at the world’s largest boating supply company and the world’s largest video game company. I’ve lived in, among other places, Seattle, WA, Newport, RI, Virginia Beach, VA, Jacksonville, FL, Kailua, HI, and Santa Cruz, CA. I have a degree in Russian and Eastern European Studies from the University of Washington earned during the dark but fascinating days of the Cold War. I speak a couple of languages tolerably well. I am an Eagle Scout, a better than decent photographer, and a certified SCUBA diver. I am an excellent shot with a bow, a pistol, a rifle, or a shotgun. I don’t surf, I don’t do Karaoke, I don’t drink Tequila, and I don’t eat Tofu. In 2009 I’d had enough of the corporate world and decided to take a year’s sabbatical and do all of the things I’d been putting off while trying to build a career; learn to play golf, learn the guitar, travel, etc – I had a list. I resolved to not even think about a job or looking for work for 365 days but as often happens with the best laid plans, one week into the year my life took a hard left-hand turn. Sitting in a wine bar one afternoon (after a golf lesson) I met a young winemaker who was just getting started with his own winery. One drink led to another and I ended-up with a new job. Our initial agreement was that he would teach me to make wine and run a winery – and I’d work for free as an intern during the 2009 harvest. A pretty good deal for both of us. When my year “off” was up I went back to the corporate world working with the Demand Planning team at Electronic Arts during the week and continuing to work in the winery Tasting Room on the weekends. I also read everything I could find on the history of wine and winemaking and took every wine class I could find. Having exhausted my local resources, I enrolled in the UC Davis Extension Winemaker’s Certificate course. A two-year, mostly online, crash course in proper winemaking technique. It became obvious that my future would somehow involve wine so I formed La Vie Dansante Wines, LLC as an umbrella organization to cover my endeavors. 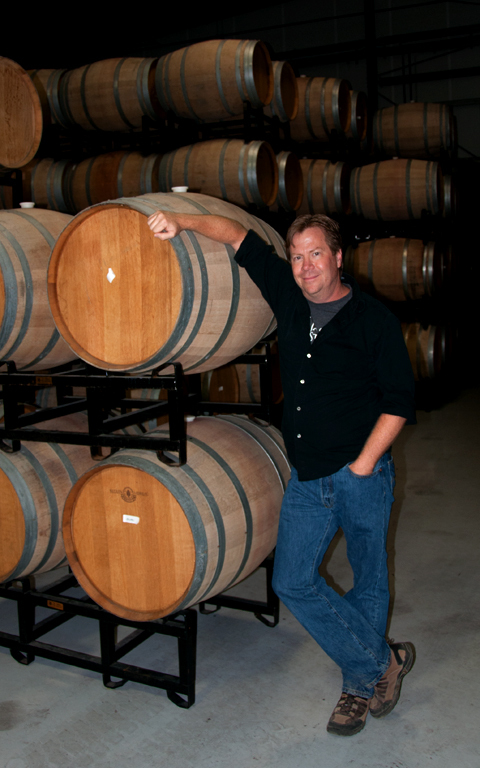 To be clear, I never meant to own a winery, swore I wouldn’t in fact – that would be stupid. 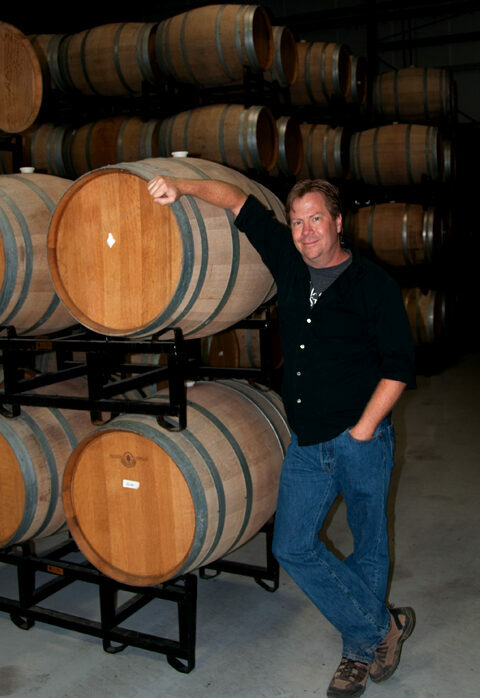 In the fall of 2014 the phone rang and a gentleman asked me if I was the guy who was looking to open a winery. Nope, I told him, I’m not that guy. “Too bad” he said, “I just bought the old Thomas Kruse Winery and I’m looking to lease it out”. Ok, that got my interest. By May of 2015 I’d signed a lease on what would become “Blended, a Winemaker’s Studio”, quit my day job, and jumped in with both feet. Suddenly, against all odds, I owned a winery.